This week is going to be a rollercoaster of emotions, as my precious baby is turning ONE! I know everyone says they grow up so fast, but man, I just can’t believe how quickly this first year went by. I’ve been debating on whether to just do a regular ole’ chocolate cake for his smash cake or to twist things up and go with a healthier option. Hubby and Grandma’s vote was the typical smash cake, because hey, the kid never gets to eat this kind of food, and he only gets a first birthday once! On the other side of the fence, healthy CAN be delicious and enjoyable, and baby’s health comes first! So, in my journey of deciding, I set out to find some healthier options. 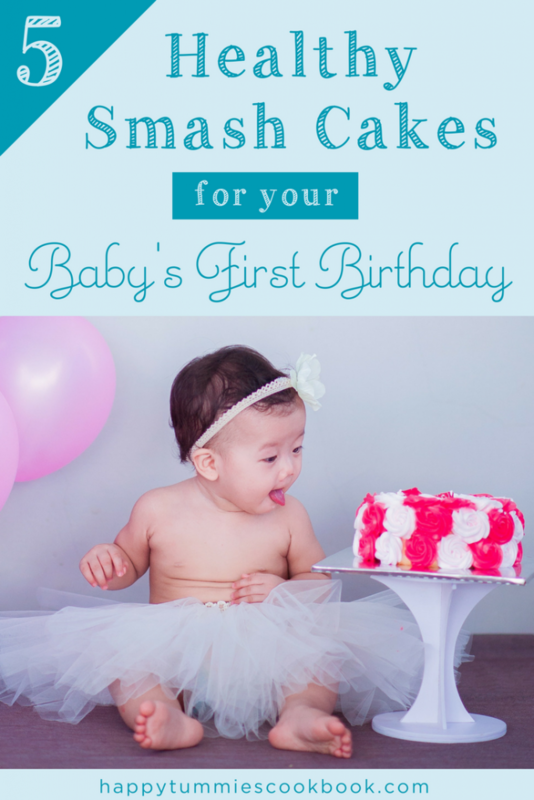 If you’re like me and obsessed with making sure your baby is eating healthy and do all that you can to avoid foods that aren’t loaded with dyes, processed sugar, and other stuff you can’t even pronounce, then these 5 smash cakes will be right up your alley. Who doesn’t love banana bread? 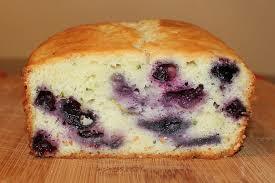 It’s moist, “banana-ee”, and cake-like, making it an awesome alternative for a healthy smash. 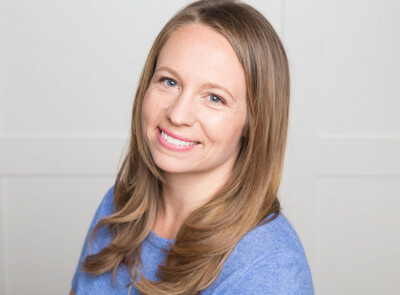 Hello Bee has the perfect recipe for turning regular banana bread into a three-layer cake for your little’s party. 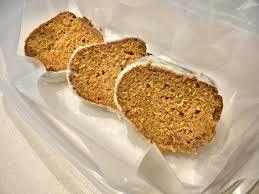 This banana cake is made with whole grains, free of refined sugars, and packed with protein and potassium. The frosting is easy to make as it is only two ingredients, yogurt and honey. Yum! excellent choice for babies that have only had fruit and veggies so far or are allergic to dairy, eggs, or gluten. 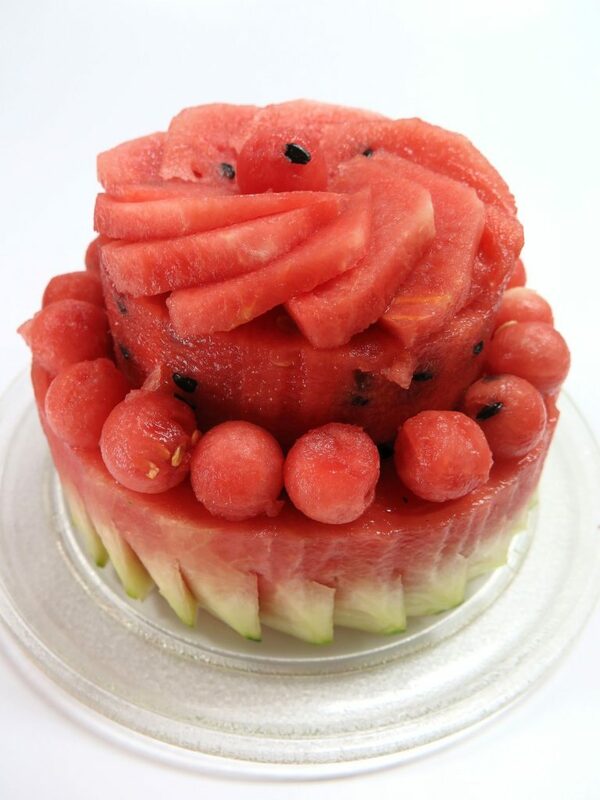 Check out this instructional video to learn how to shape your cake out of a watermelon. Grab some other fruit and some cookie cutters to make a fun presentation and match your party’s theme. If you’re a chocolate lover, then you’ll love these black bean brownies. Black beans are loaded with nutritional value. They are full of fiber and protein and rich in vitamin A, iron, and calcium. All very important for growing littles. These black bean brownies by Chocolate Covered Katie taste so scrumptious, your guests won’t even know that they’re healthy for them. Heck, I don’t even like beans, but I sure do love these brownies! 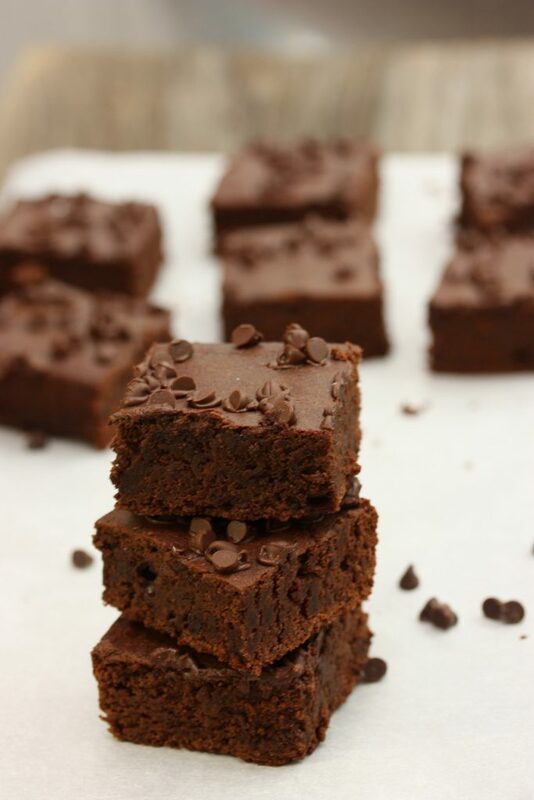 These moist, chocolatey goodnesses are free of refined sugar, gluten, and dairy. A great option for vegans. Pack in even more nutrients by topping them with some chocolate sweet potato frosting. This frosting is so delish, you can’t even tell that you’re eating a superfood. Sprinkle on some crushed up dried fruit and let your baby smash away. This healthy recipe by Well Floured is full of vitamin C, free of refined sugars, and only has a fraction of the amount of fat as other recipes. But yet it is still super delicious! Spread some coconut whipped cream on your loaf and top it with fresh blueberries in the shape of a “1” for a fun birthday look. If you’re not a fan of baking, then Simple Mills boxed mixes may be the way to go. They’re easy to make and super yummy. Simple Mills uses whole-foods only, so there’s no questioning the ingredients on the back of the box. They also limit the ingredients to fit your needs. They are free of grain, gluten, soy, dairy, and cane sugar, so your baby (and your guests) can enjoy his cake without you feeling guilty. 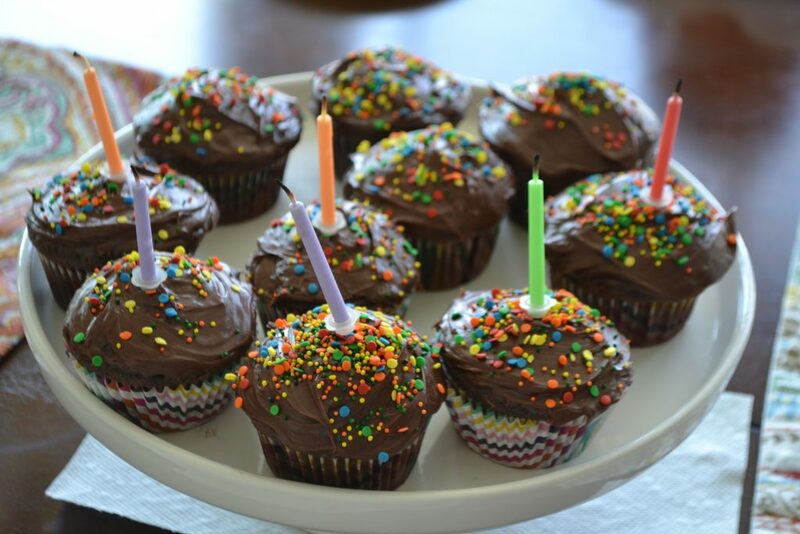 If you don’t want to make your own frosting, you might be able to find healthier versions of store-bought frosting at your local grocery store! My local store sells Wholesome frosting, which is organic frosting that is also free from artificial colors. 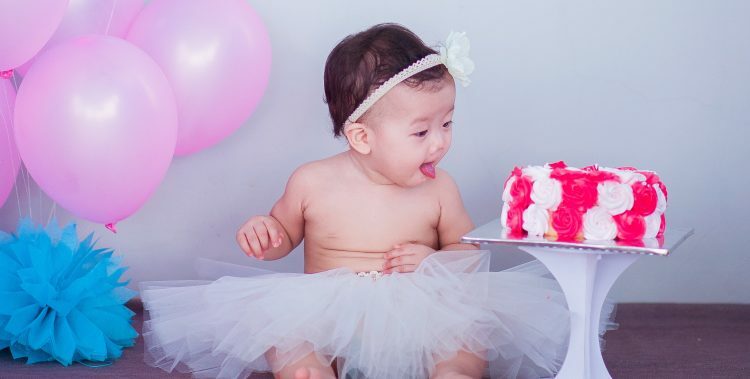 No matter which cake you choose, I’m sure your baby will having a smashing (and healthy) first birthday. Now, get ready to strip them down to their diaper and let them divulge! I’d love to see your healthy smash cakes! 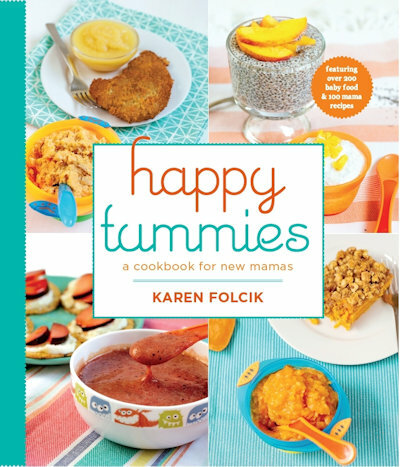 Share photos of your creations and tag @happytummiescookbook.